Warrandyte teenager, Sam Hume, wants to become a pilot. But he also sees magic as part of his future. Sam Hume: "Adults are easier to trick." The 13-year-old won two awards at the Melbourne Magic Festival in July. 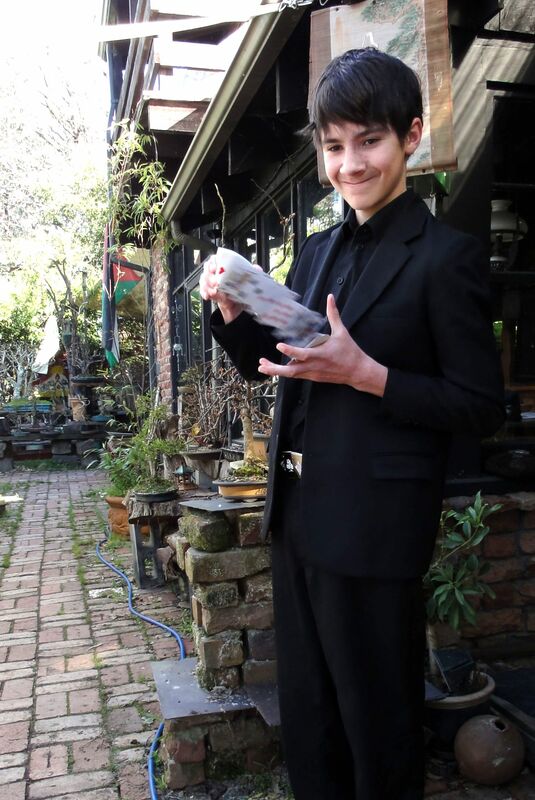 He won first place in the Australian Junior Close Up Magic Competition and third place for Stage Magic. Known as “Sam the Magic Man”, the Year 8 student is no stranger to the spotlight. He has showcased his magic tricks in talent shows since primary school and also took second place at his high school’s annual talent show last year. Sam first became interested in magic when he was about 11 years old. Before long he started magic lessons and has since developed an “obsession” with cards. Sam usually practices for a couple of hours every day and his tricks also involve illusions, rubber bands and coins. Sam said his favourite part of performing is watching the audience’s reactions. He performs his magic tricks at corporate functions and children’s birthday parties—and believe it or not, he says adults are easier to trick. He meets with the Australian Institute of Magic every fortnight to discuss and learn new tricks with other like-minded magicians.